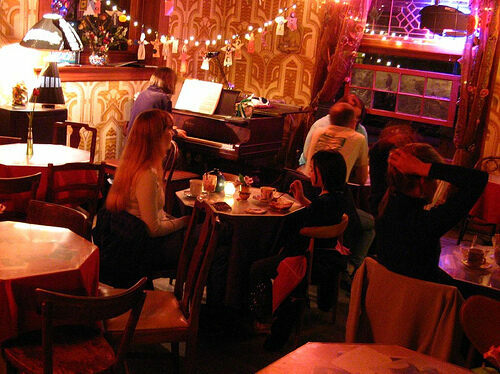 Established in an unmarked Victorian house in a formerly industrial neighborhood of Southeast Portland, the Rimsky-Korsakoffee House (or “Rimsky’s” to locals) has become a point of interest as much for its ghostly atmosphere and reverence for live classical music as for its to-die-for desserts made in-house. With zero advertising and limited hours, Rimsky’s unmatchable “casually threatening atmosphere” has kept the late-night dessert and coffee emporium busy for over 35 years. Goody Cable is the proud proprietress of Rimsky’s and can sometimes be found slaving away in the kitchen, though according her daily operations run pretty smoothly with its “under no management” philosophy. Cable professes that the house is haunted to this day by its former tenants, a pair of writers who bore witness to the Russian revolution. Accordingly, each table is named for deceased composers. Some have been known to exhibit strange behaviors, like growing and shrinking by 18 inches, or rotating so slowly that, deep in conversation, one reaches down to find that his torte has defected to the person on his left! Table tops are covered in movable glass for patrons to leave behind relics of their visits, and mementos of people and places past hang from the ceiling at eye-level on beaded chains. 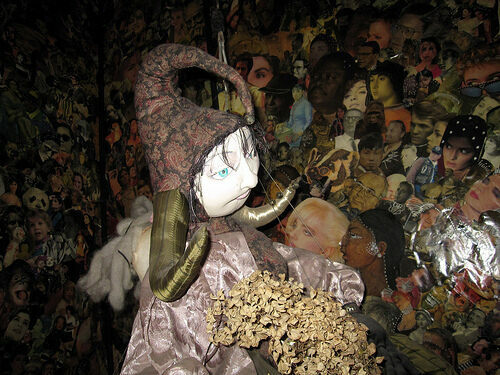 The icing on the not-so-proverbial cake is provided by a trip to the Erik Satie-themed bathroom, which boasts a surprise that is better to be experienced than described. A few final notes on decorum: cash is the only form of payment accepted, tip the (otherwise unpaid) musicians playing at the living room’s baby grand, and if you ask the servers for water, be prepared for a potential squirt-gun ambush from the kitchen or having fake ants put in your water.